Have you heard of Isagenix? Essentially, you replace meals with formulated shakes and other herbal drinks (which are not scientifically proven to help). Replacing meals with low-calorie fluids certainly helps to drop several kilos quickly, but that will happen in any scenario when calories are significantly cut from your diet. The Isagenix shakes are just pricey extras. 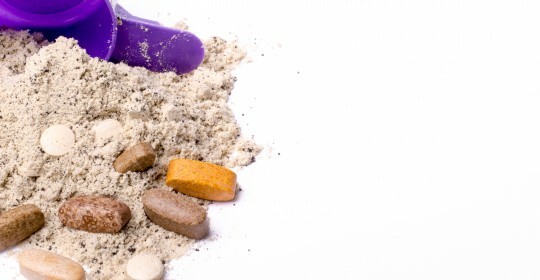 Will these meal replacements work months or even years down the track… No. In fact, the Isagenix Australia General Manager said in a TV interview that the average weight loss on the program is approximately 3.2 kgs total. Nothing that basic lifestyle changes could not accomplish in 2-4 weeks. Isagenix products and cleansing programs range from $200 – $700, and are typically billed every month on a direct debit program. 12 months in a year and you can work out how much it starts to cost you. But even for a one-off cost of a 30-day “nutritional cleansing program” ($490), you could buy a competitor brand meal replacements at the pharmacy for around half the price or less. Or 6-7 individual personal training sessions, or 6 consults with a Dietitian. Those consults could easily span a period of 6-12 months, as opposed to just 30 days. It has become very widely accepted that whole foods, in their natural state, with as little artificial ingredients as possible is fundamental for a healthy diet. Isagenix products do not fit this description at all. Some of the most common ingredients in them are gluten, soy, vegetable oils, added fructose, synthetic vitamins and minerals. An Isogenix flavoured shake, for example, has well over 30 ingredients. While many of those ingredients are added (artificial) vitamins and minerals, there is no evidence that artificial forms are beneficial. It’s the synergy of nutrients in whole food that makes them effective. For example, the fibre we get from vegetables, as whole vegetables, cannot be mimicked. Isagenix claims their products help you lose weight, have more energy, and… make money too. There’s a big red flag for all consumers out there, especially in the health and fitness industry. Much like Herbalife and other widespread weight-loss products, they use multi-level marketing to promote their products. Very similar to pyramid schemes (various forms are illegal all over the world including Australia), multi-level marketing relies on buyers to then sell to their friends and networks. The company then pays commissions based on sales, so it’s a form of side income for users. The problem created with this model is it is attractive for those who are NOT very qualified to be giving dietary and health advice. And certainly not medical advice. 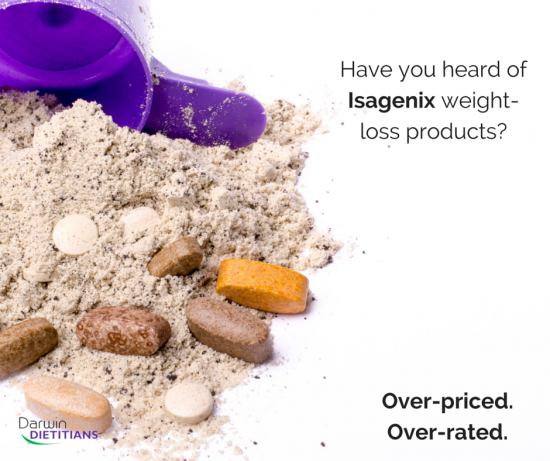 While not as bad as Herbalife, Isagenix is well over-priced and is not a realistic way of eating healthy long-term.